Google will not serve search queries from brands and websites that its algorithms believe can correctly answer them on its own. One SEO expert believes this is just the beginning. The search engine will hide the results when the queries center on calculations, unit conversions and local time queries. Google, however, will provide a link to show all results under the answer, giving those who search the full results of the query, according to Sergey Alakov, Toronto-based SEO specialist and consultant. It’s accurate for marketers to assume more results will be affected as Google relies on its own data, rather than the websites of brands and companies trying to become the “expert” in a specific topic. Many marketers are concerned that this change is a “slippery slope,” Alakov said. 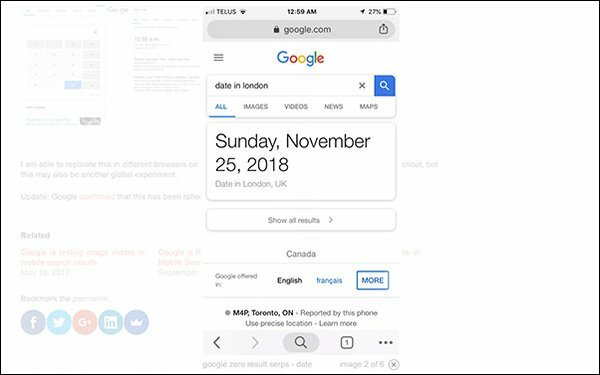 For example, weather searches seem like an easy target for the zero-result search user interface, but most of the time these searches do not result in any clicks anyway, he wrote in an email to Search Insider. Voice search, he wrote, turned search into a one-result world. Marketers need to adapt or be left behind. Most consumers don’t rely on voice assistants to research a product before a purchase or read reviews. These topics are more sustainable and should be a higher priority for search marketers, he explains.